Although home prices in Oregon have slowed in recent months, they continue to rise. According to the Federal Housing Finance Agency house price index,Oregon home prices will continue to rise by about 7% per quarter over the next year, and steady increases will continue through 2027, the latest year for which FHFA currently offers forecasts. “There’s no question housing prices have been going up and continue to go up,” says Josh Lehner, an economist at the Oregon Office of Economic Analysis. Lehner says the housing shortage stems largely from a lack of confidence and credit availability: After getting burned in the last housing collapse, banks are reluctant to issue new loans. Other reasons include higher wages for construction workers and a shortage of buildable lots in suburban markets. Although developers often blame the shortage on Portland’s urban growth boundary, the policy framework is not at fault, according to Lehner. Even cities with plenty of land, such as Boise, Idaho, struggle to pay for the roads, water lines and other utilities needed to transform raw land into buildable lots. 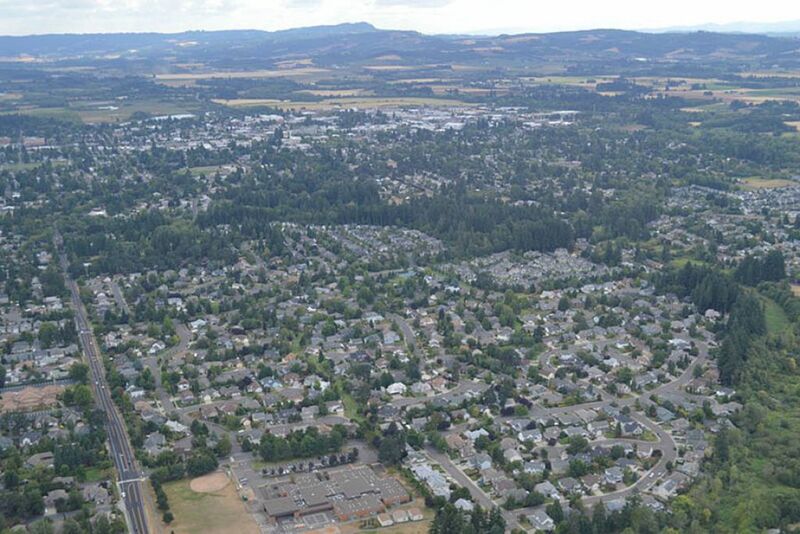 Though Oregon’s market reflects national trends, it diverges from the norm in rural housing, where affordability remains significantly worse than in other rural areas across the country. Lehner attributes this disparity partly to the trend of building prestigious vacation homes in scenic areas like the Columbia River Gorge and Oregon Coast. Lehner is cautiously optimistic. “It’s getting better,” he says. Portland: Standard & Poor’s reputable Case-Shiller home price index shows a monthly increase in Portland home prices of .88%. Compared to skyrocketing housing prices reported last year, prices are rising at a slower rate. Bend: As with Oregon overall, home prices in Bend remain high, but the price increase is slowing. The average price per square foot for single-family homes in August 2017 rose 14.2% compared to the same month last year. Compared to last year, 8.5% more homes are on the market in Bend this year, and 6.9% fewer homes were sold. Miller’s firm sold fewer homes this year than usual, and climate—with a long wet winter and smoke from wildfires—was a major reason. Medford: The Medford market also reflects overall housing trends in Oregon, as prices continue to climb, and inventory remains low. Misener anticipates a strong market this year. He expects a steady stream of buyers drawn to Medford by the area’s growing reputation as wine country and a hub for medical facilities. Eugene: In Eugene, there aren’t enough homes for the legions of buyers moving to Oregon, especially in hot areas like the university district. Chesser says some buyers will wait until the end of the holiday season, and he’ll be just as busy next Spring.